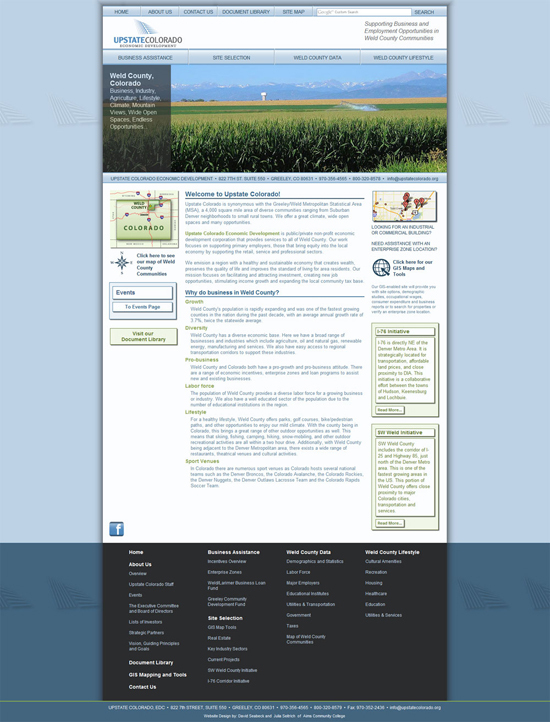 This site was designed as part of an internship at Upstate Colorado Economic Development. 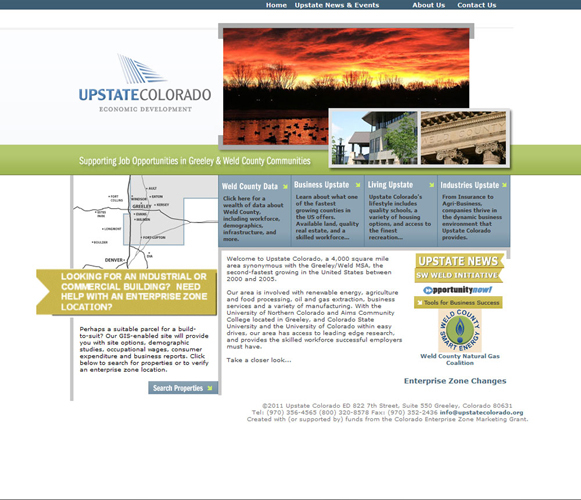 Upstate is an economic development non-profit in Greeley that advocates for the region and endeavors to bring new business to Weld County. On a team with a fellow student intern, we led the client through a design process that began with understanding and eliciting the business’s needs, tastes, and functional requirements. We worked hard to present a large amount of information in a clear and meaningful way. Though a search bar is nothing special, its presence in the site represents a lot to me in terms of the individual research and hands-on learning. Through a steep learning curve and lots of sweat and effort, we produced a new look for the Upstate site that works well with their existing branding. The site makes use of jQuery and PHP includes.